A Pac-12 task force recommends ending the NBA's one-and-done policy, creating an enforcement unit and giving high school players more access to agents. 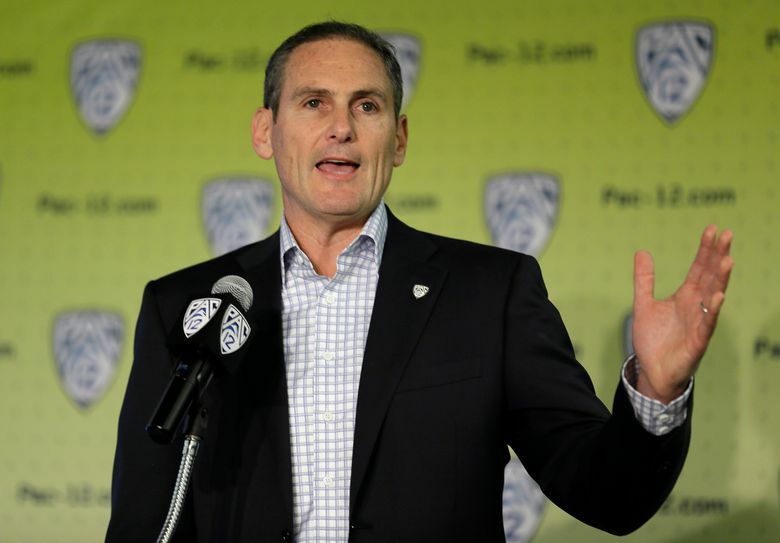 Pac-12 commissioner Larry Scott wants to save college basketball from itself. In November, the league commissioned a task force to solve the sport’s biggest problems and Tuesday announced recommendations for sweeping reforms. In a 60-page report sent to the NCAA commission on college basketball, the Pac-12 called for the end of the NBA’s one-and-done rule that requires players be at least 19 years old and a year removed from high school graduation to be eligible for the draft. The Pac-12 is asking the NBA to alter its draft rules to model the requirements employed by Major League Baseball, which allows players to be drafted out of high school, but prohibits the drafting of players who choose to attend college until after their third year out of high school. “It’s our sense that that would be an important step in terms of having more clarity of purpose and mission so that those young men that really (are) solely focused on wanting to get paid to play basketball, they can go do that and they have more better options quicker without having to come through the collegiate system,” Scott said last week at the Pac-12 men’s basketball tournament in Las Vegas. “And those that are interested in the tremendous benefits that higher education has to offer and being student-athletes and working toward a degree and all the other benefits that you get from that, they come to college sports. Creating a new enforcement unit independent of the NCAA to investigate cases of major infractions. Shifting control of the recruiting process away from independent tournaments run by athletic apparel and shoe companies to NCAA sponsored combines that allow access for college basketball coaches. The hope is to decrease the influence of third parties in the recruitment process. Full disclosure of contracts between coaches and universities and shoe and apparel companies. Allow access to agents for high school players and provide NCAA-sponsored educational programs for prospective college athletes and their families. “College basketball is really a fantastic sport. March Madness is certainly one of the greatest sporting events in our country, let alone the world,” Scott said last week. “We certainly think it’s incumbent upon the leaders in college sports to look at some of what we’ve read about and heard about, and are concerned about, and to have a bias for action and to find solutions to some of these problems.